Here are the top hotels for your Kuana'oa Bay beach trip! Set on Mauna Kea Beach, this modern, upmarket resort with a tropical vibe is 2.4 miles from Hapuna Beach State Recreation Area and 13.6 miles from the fishing village ruins of Lapakahi State Historical Park. Colorful, contemporary rooms have private balconies and soaking tubs, plus iPod docks, flat-screen TVs and coffeemakers. Dining options include 2 airy restaurants, a wine bar and a bar/grill, as well as oceanfront cookouts. There's also an 18-hole golf course, an outdoor pool, 11 tennis courts, a fitness center and a spa. Set on 15 acres overlooking Anaeho'omalu Bay, this upscale beachfront resort hotel is next to 2 golf courses. 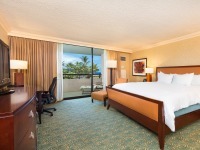 Upscale rooms feature Polynesian accents and balconies with ocean or garden views. All come with sitting areas, free Wi-Fi and 42-inch flat-screen TVs with cable channels, plus minifridges and tea/coffeemakers. The restaurant serves breakfast buffet and American/Pacific-Rim cuisine, and there's a coffee shop for to-go breakfast fare. Amenities also include an outdoor pool and hot tub, a spa offering treatments (fee), and fitness and business centers. Set on 62 acres along the Kohala Coast, this sprawling tropical resort hotel features a tram system around the site. Upscale rooms offer private balconies and custom-designed beds, plus minifridges, flat-screen TVs and Wi-Fi. Suites add separate living areas. There are numerous restaurants and lounges, a spa and fitness center, 3 pools, 8 tennis courts and 2 championship golf courses. Other amenities include a black sand beach, a swimming lagoon with green sea turtles, kayaking, paddle boating and a dolphin encounter experience.